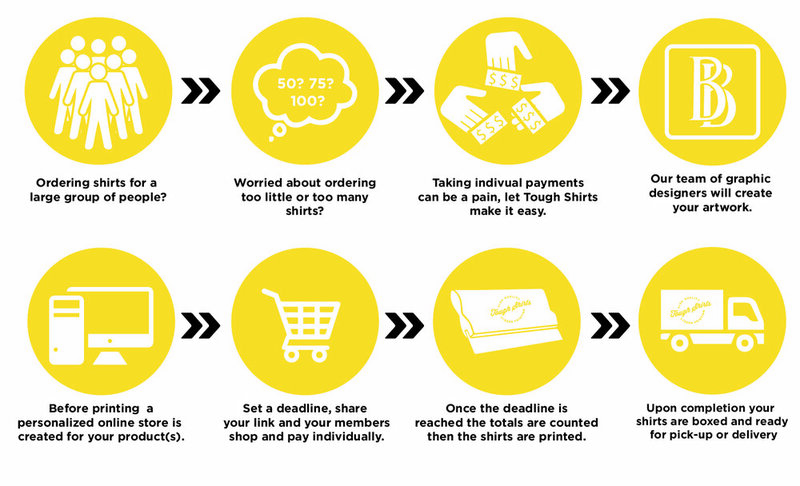 Want all of your group members or participants to go online and order their own T-shirt or product? Our Web Stores can make that happen. We’ll set up a unique link for your fundraiser or organization so each member can buy their own apparel.